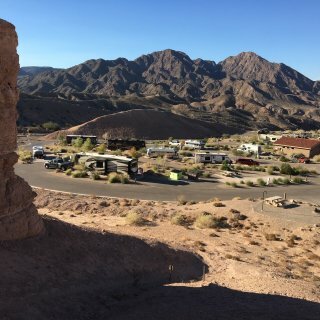 We finally agreed to pay $20 for a one year senior pass to all National Parks, and the RV park gave us a 50% discount because we had the senior National Park pass, so our nightly rate was actually only $25/night. We were in site # A6 and it is a great pull thru site. There are other good ones as well, but this park is probably more like an 8.7 because of the road getting down here is rough and curvy. The views are spectacular, except there is no vegetation on the mountains. Wifi was great and we wish we would have stayed here longer than the two nights we did and maybe done some water sports? 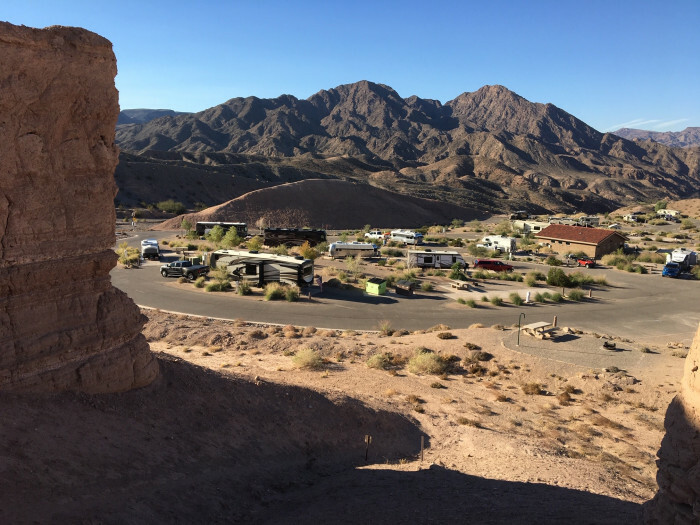 We camped at Lake Mead Recreational Area - Willow Beach in a Fifth Wheel. Hoover Dam. Many ways to do this, we just parked there and walked around ourselves. Also the restaurant for lunch called The Dillinger in Boulder City was a great place to try out their 25 different burgers. I had the Sticky Burger with peanut butter and an egg etc. along with everything else that comes on a burger. This park is about a 7.5 It would be higher, but there is no sewer at the site and the electric and water were on the wrong side of the pull thrus. Plus no wifi, but the sunrise and sunset and star watching is amazing out here because you are off the highway by about 5 miles and you are out in the country in the middle of a state park. It was nice to see a few other campers there otherwise it could get lonely out there? The pull thrus are semi-circles and are compressed gravel. There is a dump station on your way out. 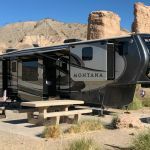 We camped at Homolovi Ruins State Park in a Fifth Wheel. This park is probably around a 7.8 It has an older and a newer section. The newer section is on concrete pads and wider roads. But it is closer to the highway. The pull thru spots are much bigger in the new section. They have a continental breakfast. You can wash your 5th wheel there as well as your truck but you have to pay $20 and $10 to do so. 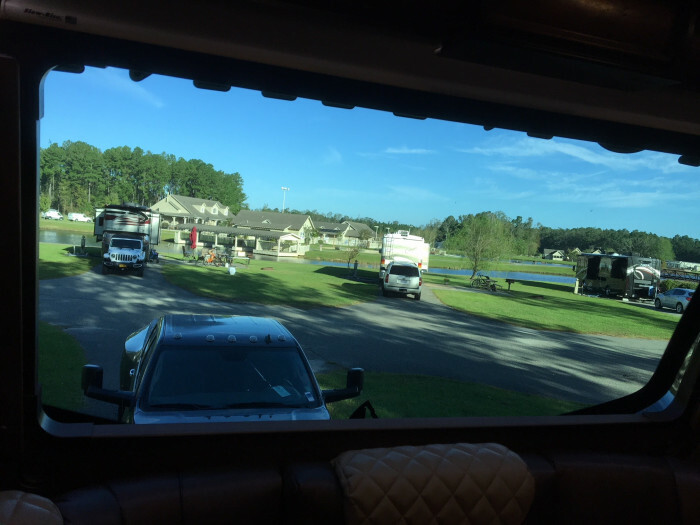 We camped at American RV Resort in a Fifth Wheel. Very well laid out new park, but no trees in the future, so it will be open and sunny forever. The roads were asphalt, and the sites concrete. The sites were wide and very long. Great site to walk up and down the aisles and meet people who are traveling. 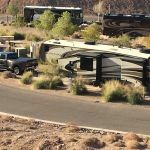 We camped at Oasis RV Resort in a Fifth Wheel. This is a good place to stay traveling east to west on hwy 20. The interior roads are paved, and the spots are gravel, but there are some spots that are concrete. I suppose you could request a concrete pull thru spot if they are available. Our site on gravel got a little swampy, because one night it poured rain very heavily. This place is probably about a 7.7. We were in site #35 There was no highway noise, but there are trains blowing their horns a lot in the middle of the night. 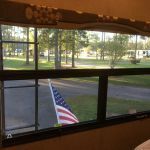 We camped at Shreveport / Bossier City KOA in a Fifth Wheel. This is really off the wall, but we could not find anything else to do this late in the season, so we visited the Shreveport Water works museum. It is the oldest in the Country that used pumps and filters etc. The tour is free, and it was actually interesting. This park if you read the reviews can be bad, or OK. Also, please confirm a week or so before you get there that they have you in the system, because even though we made our reservations months in advance, and called them the day we were scheduled to be there and tell them we might be late arrivals because we were stuck in a tornado watch area, and then when we got there, they did not have us in their system, even though they knew who we were on the phone? There are some sites that are extremely not level. I did a lot of homework with this RV park review site, and here are the sites you want if you need 50 amps. 61, 57, 33, 55, 47, 46. If it is cooler and you can get away with 30 amp, here are the site numbers you want. 25, 30, 44, 39, 13, 63, 2. I did not go around and measure the rest of the sites, so there maybe some sites I did not mention that are level. Just tell them when you check in, that you do not have leveling blocks, and need a really level spot, and maybe they will give you a good one? 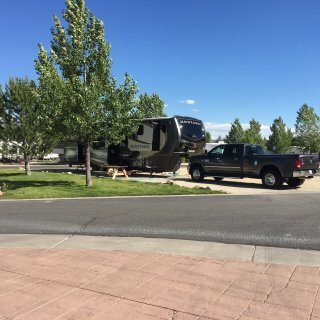 So this RV park could be a 7 or an 8 depending on what spot you get, and the wifi is weak. So I think a 7.5 is the proper rating for this park. 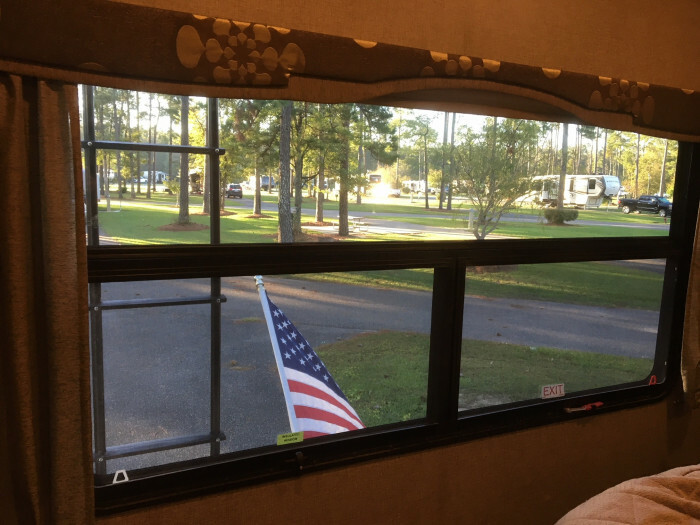 We camped at Ameristar Vicksburg RV Park in a Fifth Wheel. We went to an Antebellum house for dinner called Anchuca. It was really fun to have a family feed us in this beautiful home. This park is a small park mainly for AT&T workers, so the wifi and Hotspots from AT&T were free and great. The roads were gravel as well as the sites. 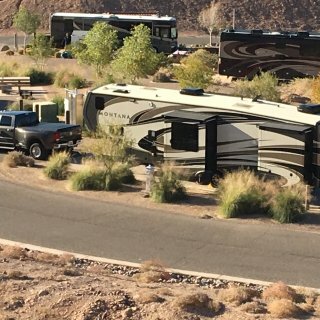 We were in a pull thru spot #23 and there was plenty of space to park our 5th wheel and truck. The staff was really friendly and let us stay a few hours after check out time because of a tornado watch and storm passing thru the morning we wanted to leave. 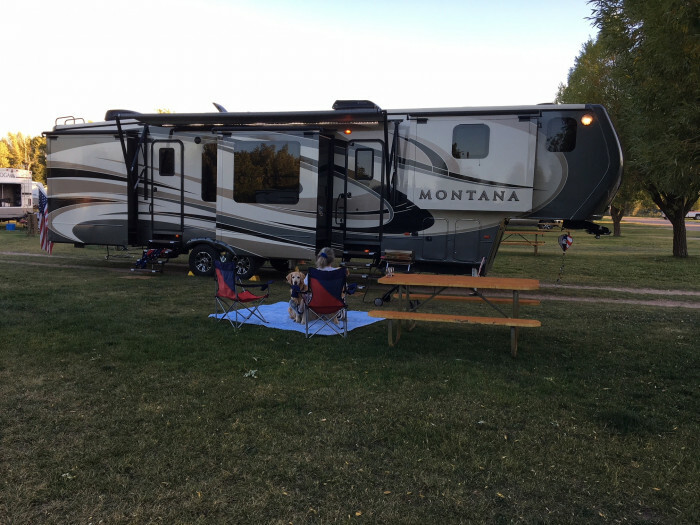 We camped at Montgomery South RV Park in a Fifth Wheel. 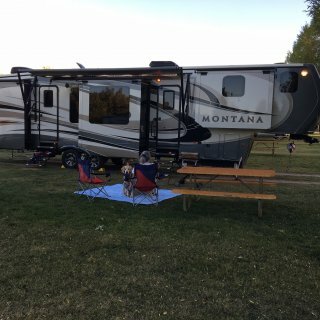 This RV park was close to Montgomery downtown sites. We visited the first White House of the confederacy and the silver haired docent that greeted us, was extremely excited to tell us everything about Jefferson Davis, etc. Very nice park with large pull thrus with very long concrete pull thrus and asphalt roads and grass between spots. We would have given this park a 9, but they charged us $10 for arriving too early, and were not very friendly in the front office. Plus one day the power went off on two rows of the main pull thru roads for 3 hours and we all had to use our generators. Otherwise, this is a very nice park. You have to watch out for alligators around the lake. They have rounded up 7 in the last few months and they know there are more in the small lake. 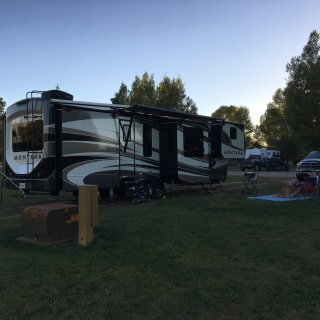 We camped at CreekFire Motor Ranch in a Fifth Wheel. The Noble Jones walking tour of Savannah with Kelse was Excellent. Alligator Soul was an amazing restaurant. I gave this park an 8, but could be a 7.8 It has 221 spots, and some are on grass and some are on gravel. The roads between are asphalt, and there is some grass between sites. The sites are pretty close together, but not too close. The area we were in had very few trees. We were in site 6 in row OO. 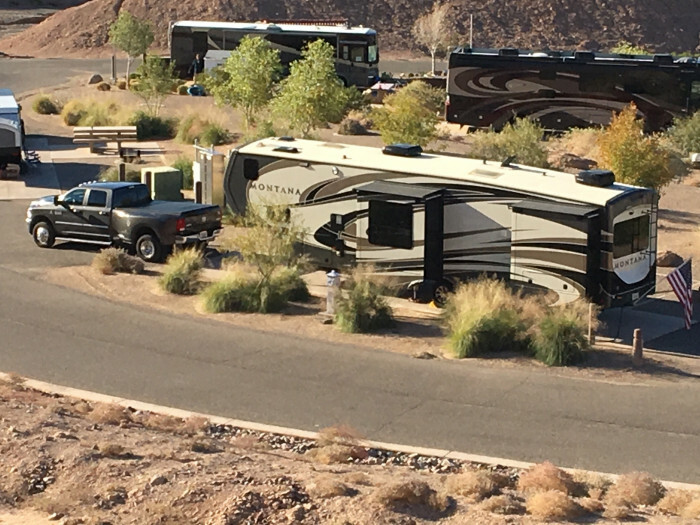 This park was built in 1963 so the roads are a little tight,because RV's have gotten way bigger since then. The wifi was in and out. 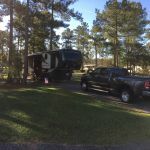 We camped at Oak Plantation Campground in a Fifth Wheel. Visit Charleston and do a culinary walking tour, and do a history tour, and there are hundreds of Restaurants, so ask the locals what they like. We went to Amen Street Fish and Raw Bar if you like seafood and oysters. 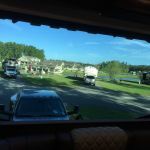 This is one of our top two RV resorts we have stayed at, and we have stayed at over 75 RV resorts. 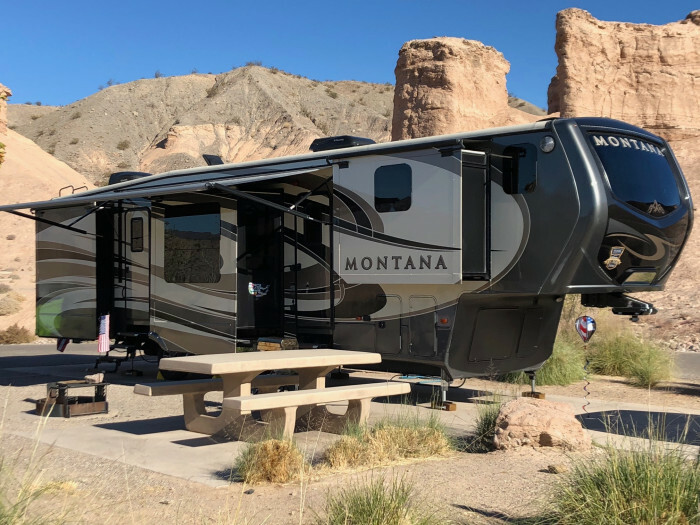 The streets are all paved as well as the RV spots, and the pull thrus are very long, and you could park your 42' 5th wheel and your 22' long truck on each end and still have plenty of room. Plus there are lots of trees, and there is grass between spots and the spots are very far apart. Plus each spot has a 20 x 20' concrete patio with picnic table fire ring and BBQ. The lake and the pool and office buildings all look excellent. There is absolutely no traffic noise etc. I could not give this place a 9.6 so I gave it a 10. The wifi was a little spotty but good when it was working. That is the only thing I could think of to knock it off from being a solid 10. We were in Site # 31. We went to Myrtle Beach and did the Boardwalk. We also went to Sunset Beach in NC. We also went to a real fun winery that has lots of live entertainment called La Belle Aime. 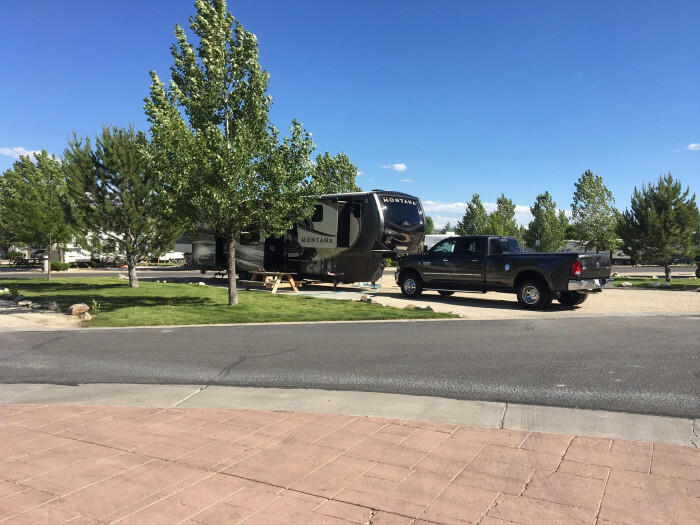 We camped at Willow Tree Resort and Campground in a Fifth Wheel. 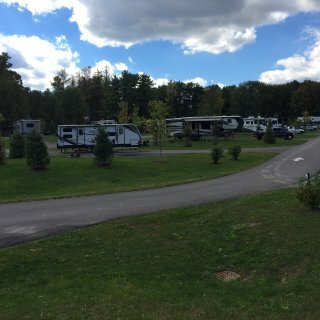 This is great RV park as far as all paved roads, and all concrete RV sites, and plenty of grass, and we were in site # 59. All sites are back in, but # 59 was an easy site to back in with your rear window right over a little back bay. Everything was great considering the grass and roads were a little soggy from the two hurricanes that had just passed, and more rain while we there. The reason why only a 7 for this park, is probably because 90% of all the spots are permanent live in or snow bird spots, and the trailers are all white! 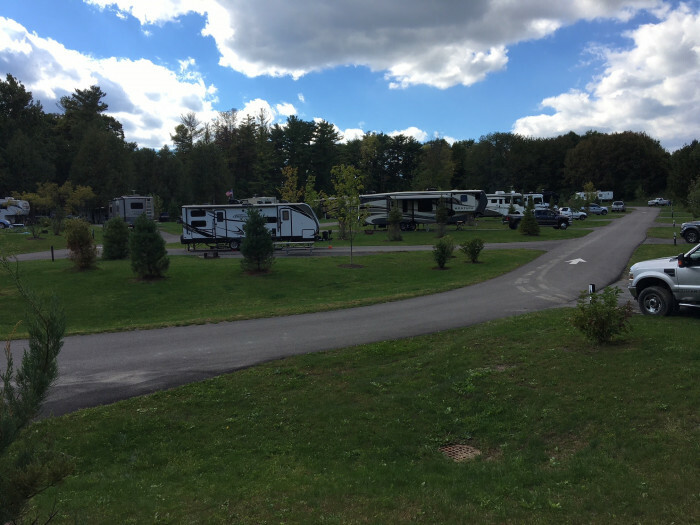 Plus since there is very little in and out RV traffic, there is no staff to greet you. It seemed dead because everyone had flown the coop. Plus there is absolutely no WiFi, and they admit it. They took it out because 90% of the permanent people have their own internet service. Plus the road to get out to this place is very bumpy, and you have to drive 15 minutes just to see a store or a gas station etc. If you just want to hang out at the beach and not go anywhere else, this place is probably booming in the summer season. 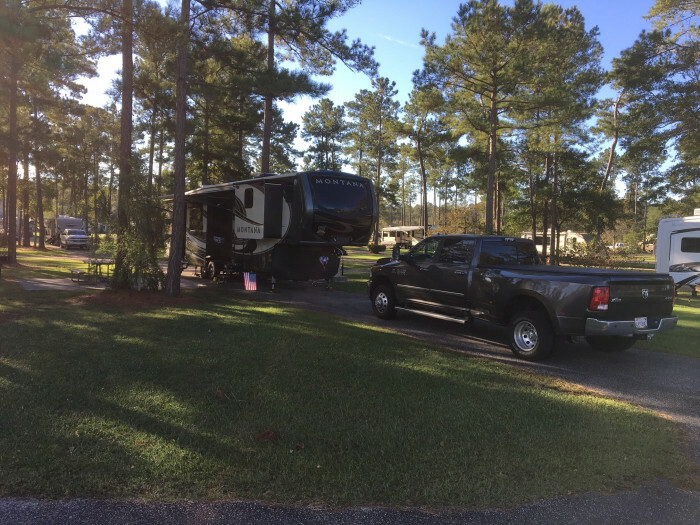 We camped at Outdoor Resorts Virginia Beach - Surfside at Sandbridge in a Fifth Wheel. There is a nice boardwalk to walk along and there is a good restaurant on the boardwalk called Waterman's Surfside Grille. The valet parking is just whatever you want to tip them. It is nice to drive up in your big Ol' dually, and let them park it! 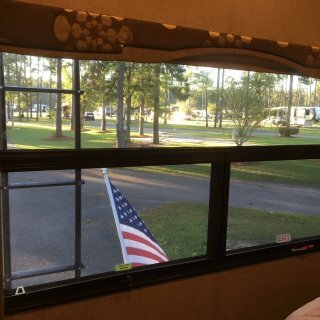 This RV Park would be a 9 if it was sunny out and two hurricanes had not just passed thru the area. It was thriving even though it was very soggy when we were here. There were kids every where dressed up in costume for a planned trick r treat night on Saturday from 6-6:30 pm. It was fun to see so many people out and about talking with each other. The pull thru sites were really long, but not that level, so have plenty of blocks around to help your auto leveling system do its job. The front desk staff were very helpful. 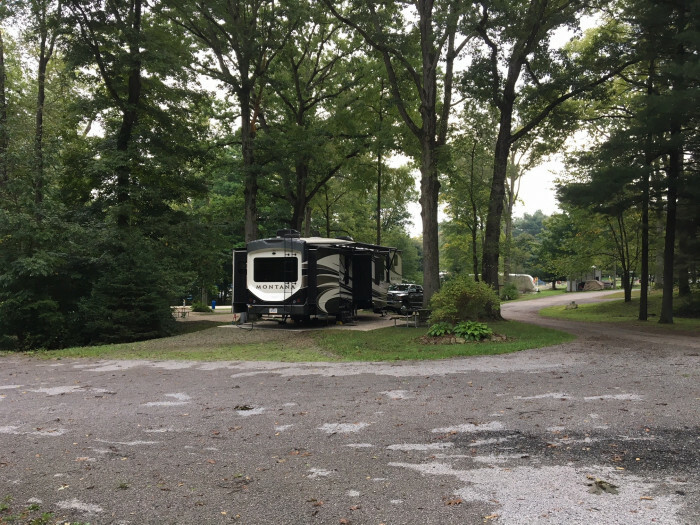 We camped at Philadelphia / West Chester KOA in a Fifth Wheel. We were there as hurricane Michael was finishing it's devastation to Florida and turned into a tropical storm over this campground. We got the emergency alert a 2 am about a river near us flooding. Kind of scary, when you do not know how high you are elevation wise? 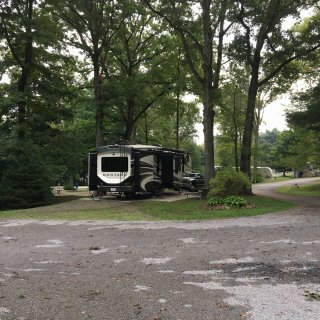 The park was very soggy, and we had a back in spot that was hard to find a place to park our truck, We were in site # B1 The staff was not overly friendly about all kinds of things. Very minimal answers to any questions you might have. 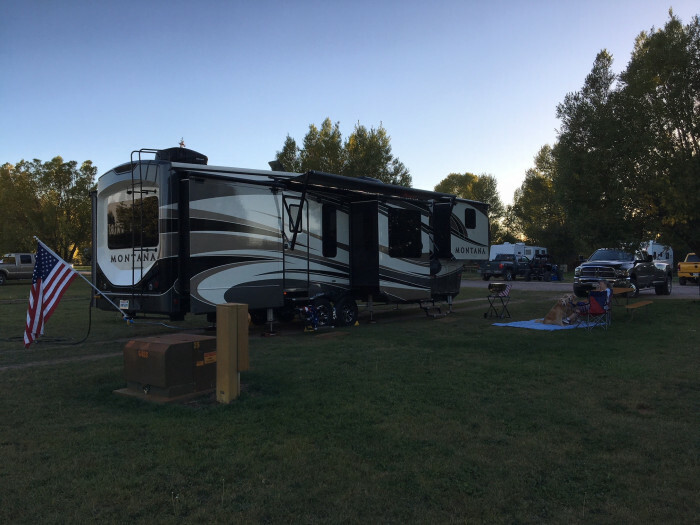 We camped at Cedar Creek Campground in a Fifth Wheel. We went to the Captains Inn and it is a great place to have dinner.